Check this great motor racing game. 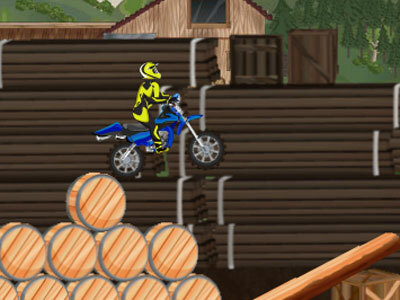 You have to complete the track and overcome all obstacles within the time limit. Balance carefully on the bike in order not to fall down. Play with the arrow keys.